Nature’s Cooling Solutions – dedicated to developing and marketing products that reduce electricity and increase comfort to cool homes. Our products are designed to be environmentally friendly. Ventilation Cooling or Fresh Air cooling – automates ventilation cooling works seamlessly with air conditioning. 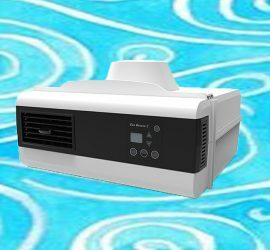 The Eco Breeze products will automatically bring air inside when it’s cooler and less humid outside. How does it work? Effortlessly! Eco Breeze continuously senses indoor and outdoor conditions with its built in humidity and temperature sensors. 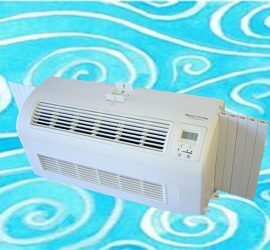 Eco Breeze turns on when outside air is cooler and dryer than inside air then shuts off when it reaches your temperature set point or outside air can no longer cool. 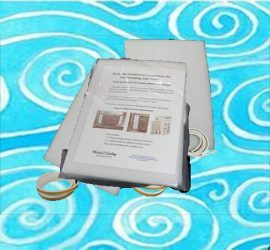 Room Air Conditioner Installation Kit for Insulating Side Panels – Typical accordion style wing panels are very thin and have very little insulation value. Nature’s Cooling Solutions offers insulated panels that are 1/2″ or 3/4″ thick closed cell foam (16 times thicker than accordion panels). The foam is Energy Star Compliant. Keep your cool air inside where it belongs!